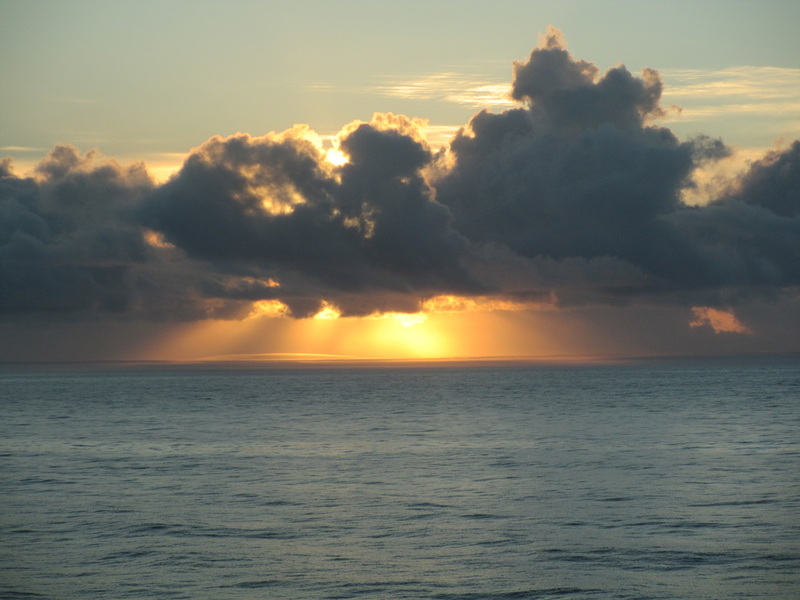 Last Day of Cruise: Another spectacular sunrise to start our day. 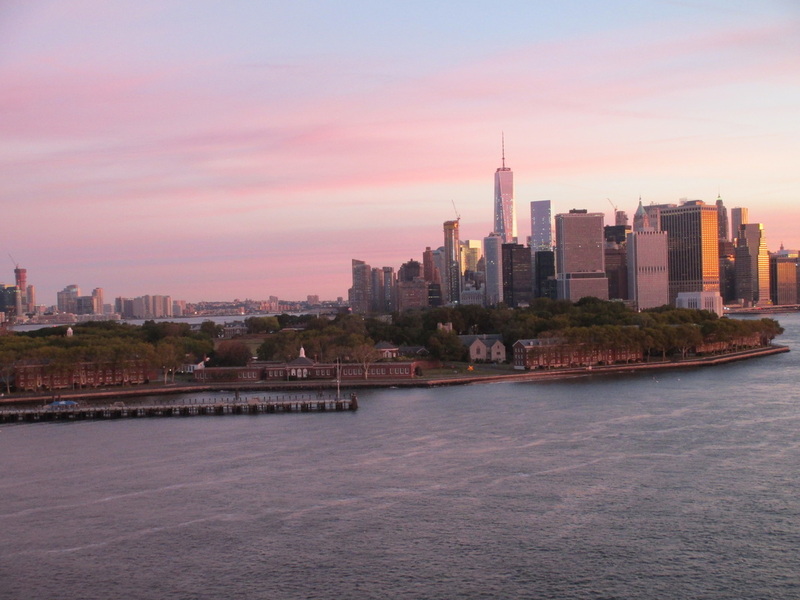 I know I have said that many times during the cruise review, but sunrises just seem to be more beautiful when you are seeing them from the balcony or deck of a cruise ship! 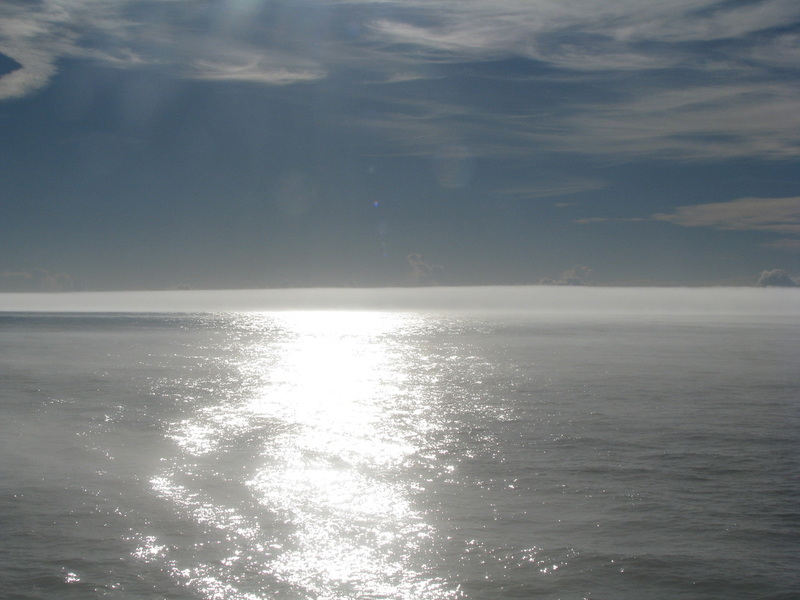 After a leisurely breakfast, we had another 2 ½ lap walk around Deck 7 and enjoyed the warmer temperature and unusual fog bank that was sitting just above the water. 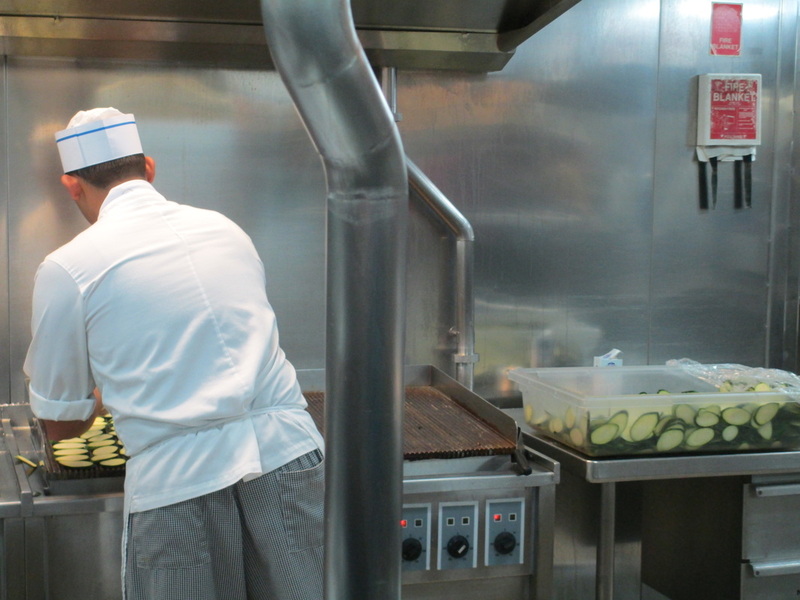 Scheduled Events: During the morning there was a Culinary Demonstration in the Princess Theater followed by a Tour of the Galley. The Executive Chef and Maitre d’Hotel showed us how to prepare some of their favorite dishes and while doing so, kept us laughing at some of their humorous antics. 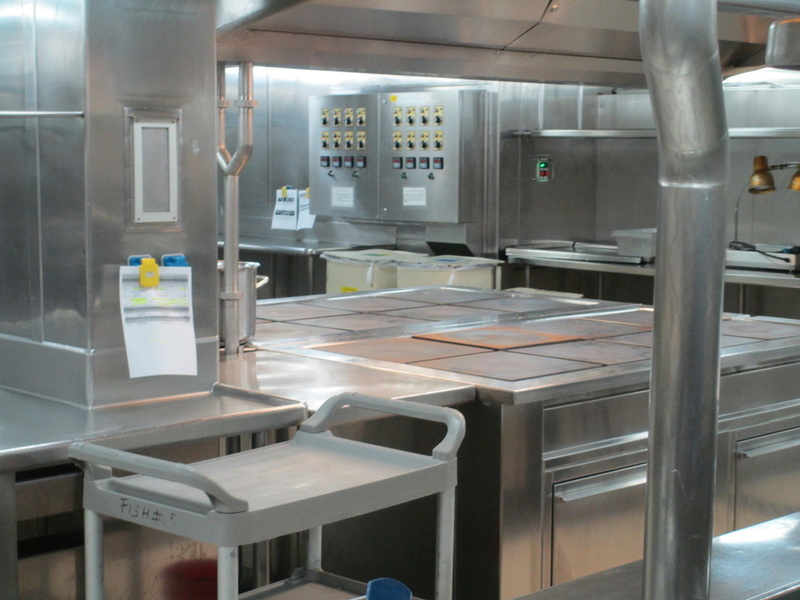 The tour of the galley is one of my favorites because it makes me appreciate the time and skill that goes into the preparation of all the food that is consumed each day. 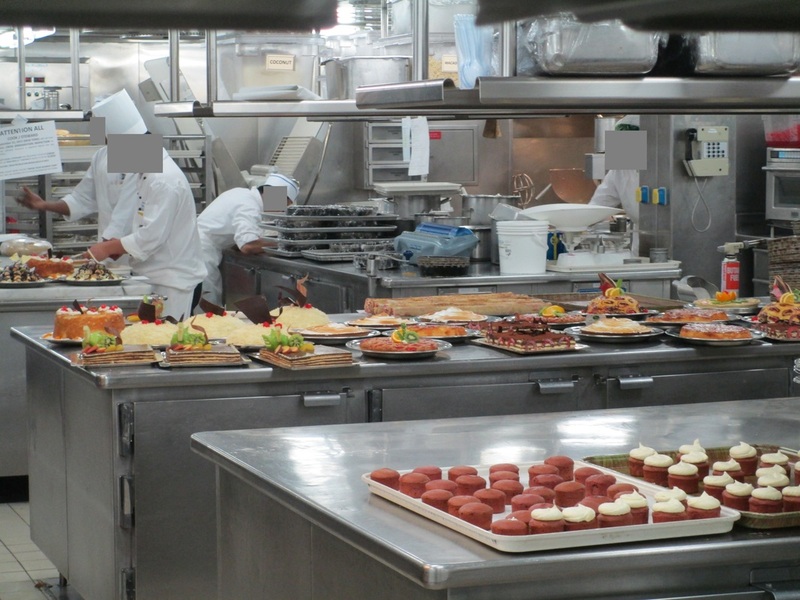 On the cruise there were between 110 and 115 tons of food from all over the world that were delivered to the ship at the various ports where we stopped. 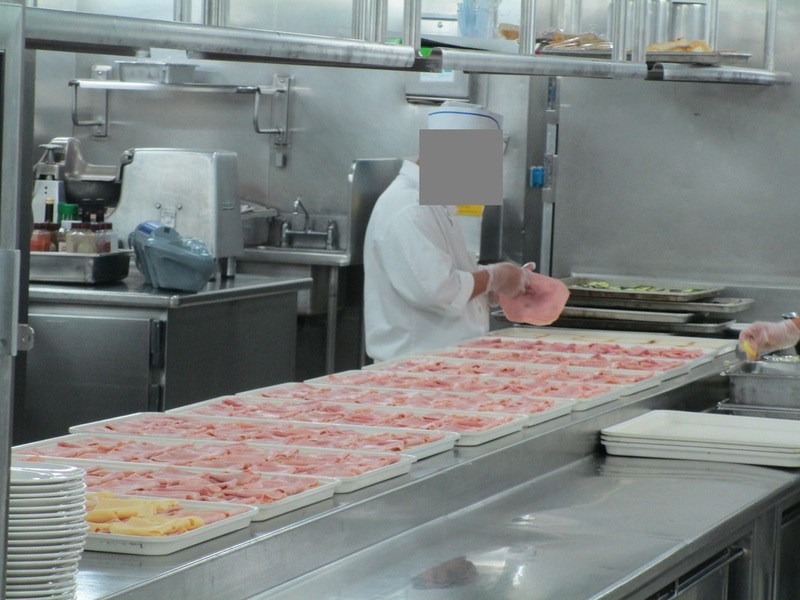 How all the staff (butchers, fish and vegetable preparation specialists, chefs, cooks, etc.) can work in such a small area in such a tight time schedule to prepare all the different menus for each meal and then deliver to each guest in a timely manner is hard to comprehend! And don’t forget all the china, glasses, silver, pots and pans that have to be washed daily. Remarkable! ​ Another special event for the day was the Princess Pop Choir presentation of selections from the Sound of Music. At the beginning of the cruise, anyone who wanted to participate was invited to join the group. Rehearsals were held most days with the choir sharing their favorite songs on the last day of the cruise. They sounded great! Internet Café: This was a popular place since everyone wanted to do their airline check-in and secure boarding passes for their flights the next day. It was also the last time to send a free eCard (electronic postcard) to family and friends. 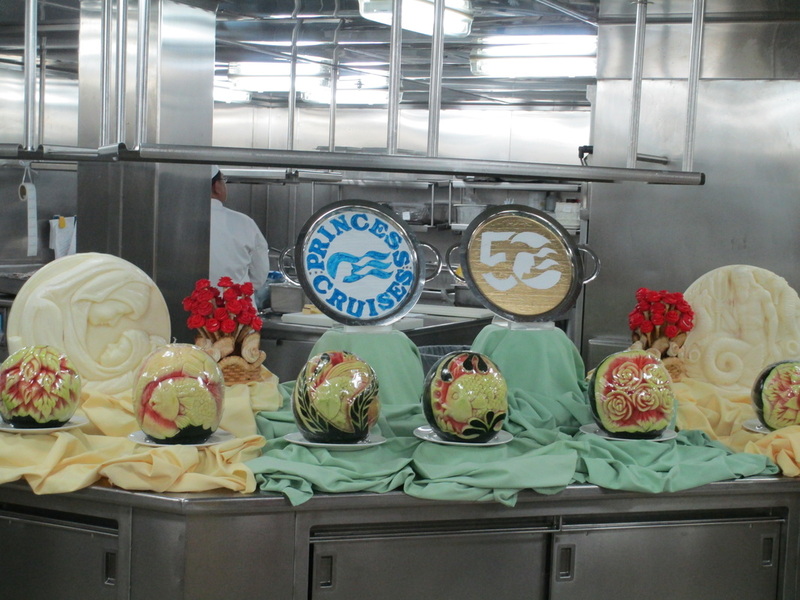 Friendliness of Fellow Passengers and Crew: One of the enjoyable times of the cruise was at breakfast, lunch, dinner or even waiting for a show or game to begin, when you had time to visit with other passengers. Most were willing to share their previous cruise experiences and give basic personal information about where they were from and if they were retired or not. This was a diverse group of people from all around the world, but a large number were from England, Ireland, Scotland, Australia, Canada and the U.S. Because of the length of the trip, many were retired or at least were able to take longer vacations than most still-working people. Most were probably over 60, but there were many younger families with very young children. I talked with many passengers who had cruised 25+ times from different ports all around the world and many who had scheduled back-to-back cruises. It made my cruise experiences seem very limited. The crew was polite and friendly and tried their best to accommodate the needs of the passengers. Dinner and Entertainment: Although we had Anytime Dining the entire cruise, we asked for the same table and wait staff each night. 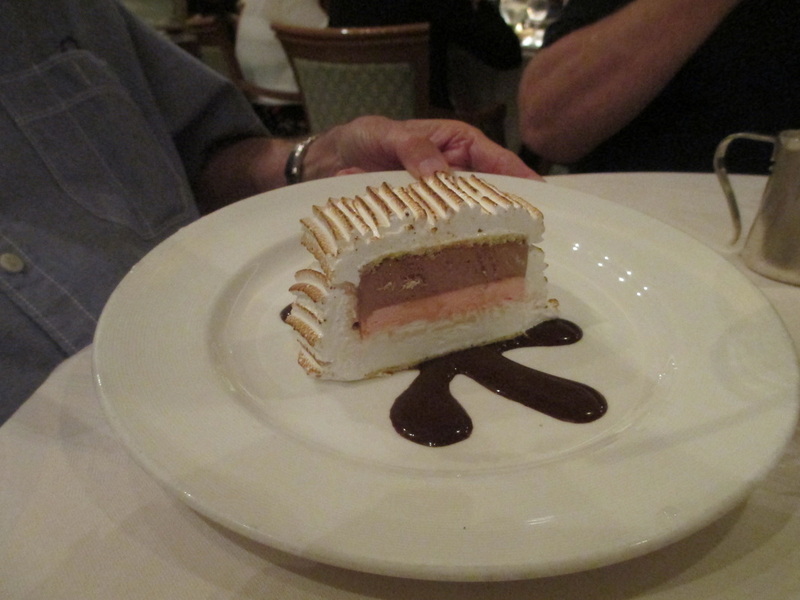 After another delicious dinner and special dessert of Baked Alaska, it was hard to tell them goodbye. They both did a great job for us. The evening’s entertainment in the Princess Theater was a show featuring some marionettes. We were not so sure we wanted to watch some puppets for an hour but decided to give it a try since all the other evening’s shows had been so good. The suspended animation of the marionettes was fantastic and we were so glad we gave the show a chance. 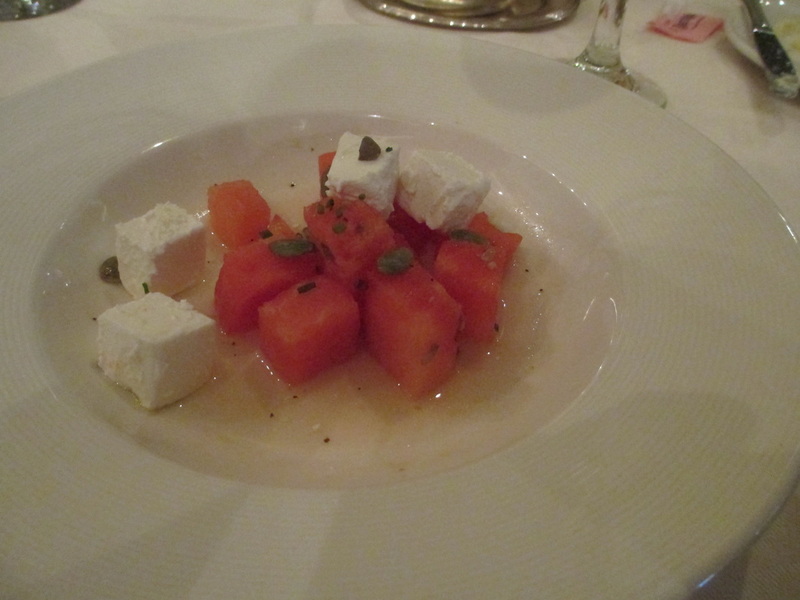 The food pictures our guest reviewer shared throughout this entire cruise review are fantastic and probably have made some cruisers hungry. 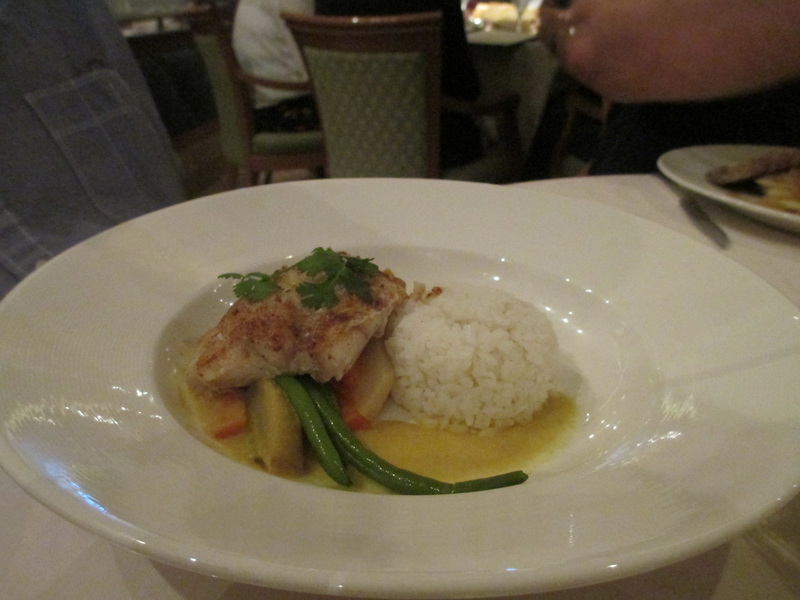 As a bonus feature to this cruise review, I have created a page that is dedicated to all of the food photos from this cruise. Enjoy the rest of the review! Disembarkation: Detailed information about the next day’s disembarkation had been given to all the passengers. Before 10pm we completed our packing and attached tags to each piece of luggage which was put out in the hall for luggage collection. 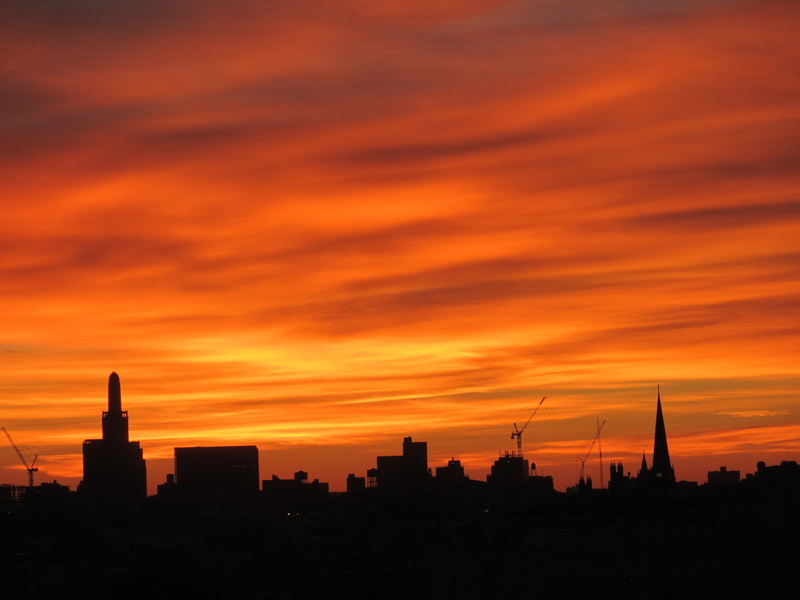 ​Arrival in New York City: We slowly approached New York City before the sun started coming up and were rewarded with a fiery sunrise to end our cruise. The Statue of Liberty seemed to “glow” in the early morning and was a welcome sight after our 19 days of being away from home. 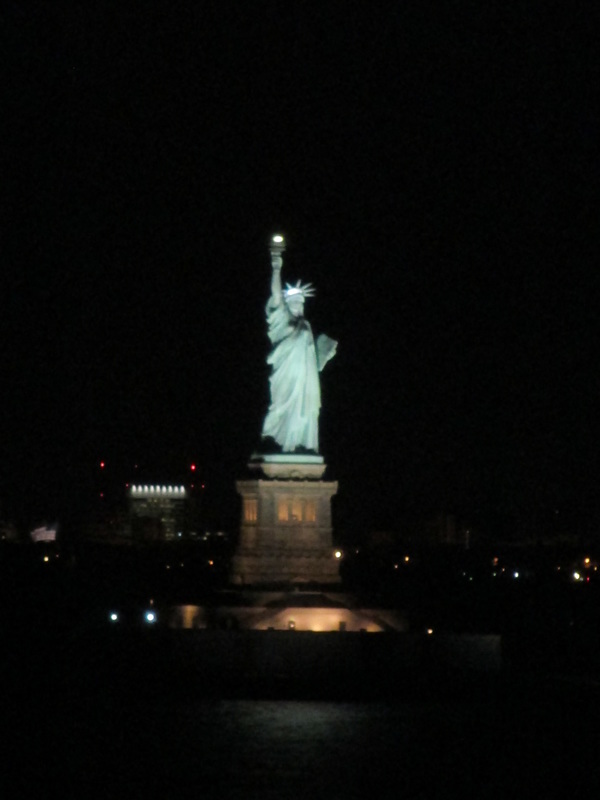 Statue of Liberty - what a welcome back home! 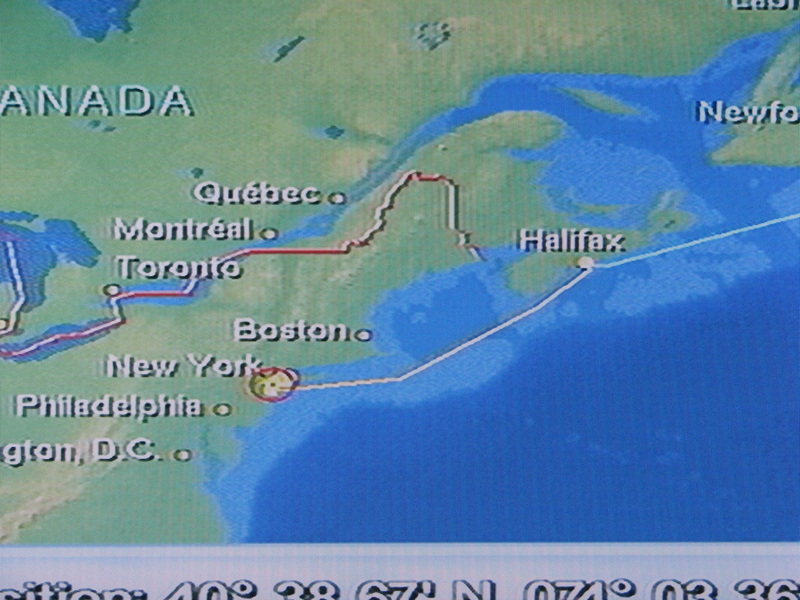 ​Recommendation: After arriving home, many friends asked if I would recommend a transatlantic (repositioning) cruise. 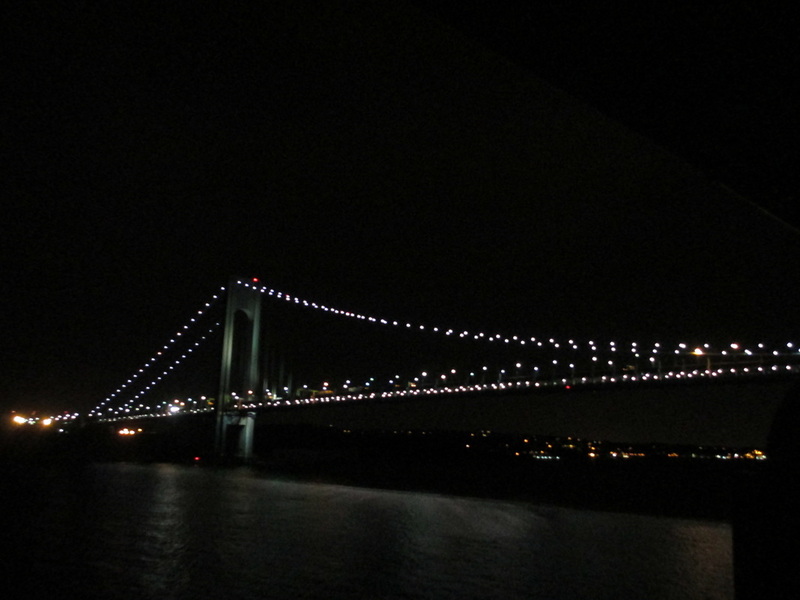 I will admit I was reluctant about sailing across the Atlantic for all those days, worried about how rough the sea might be; but now that I have completed the trip, I would definitely recommend taking a transatlantic cruise and will (hopefully) take another one in the future. If you have any questions or comments for our guest reviewer please feel free to let RyG's Cruise Guide know. We will send our guest reviewer any questions or comments you have and then send you her response to your questions. You may ask questions via our Contact Us page or Facebook. ​ Are you interested in sailing on a Rhine River cruise? 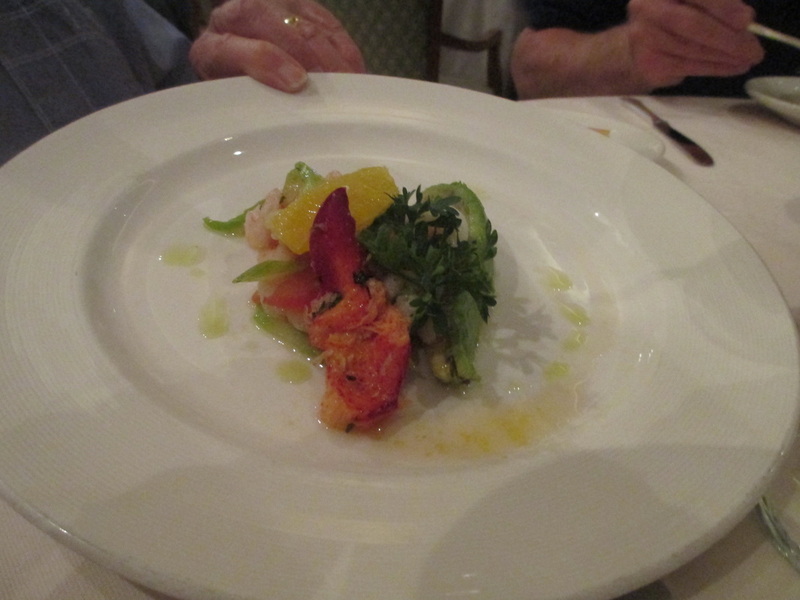 Or maybe, are you interested in Viking's river cruises? 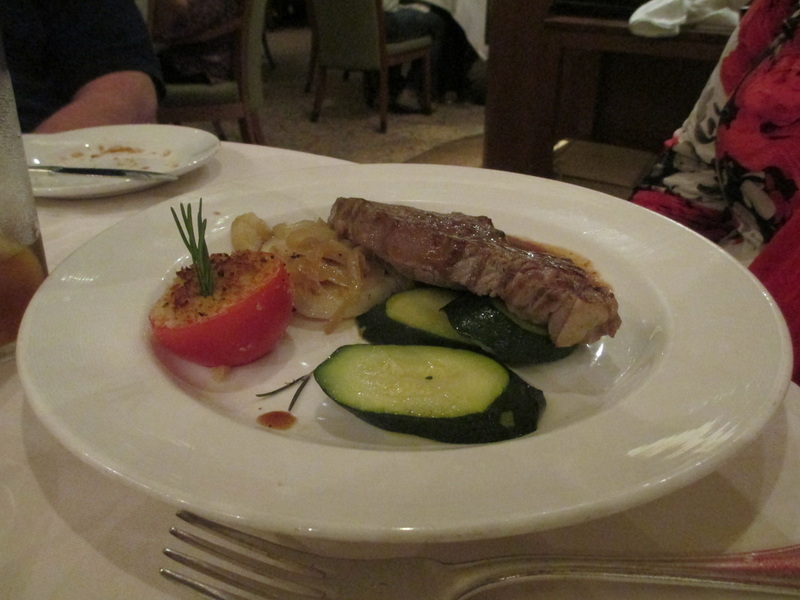 If so, you might want to check out our guest reviewer's 2014 Viking Helvetia Rhine River cruise review. Would You Like To Return To A Prior Part of This Review?